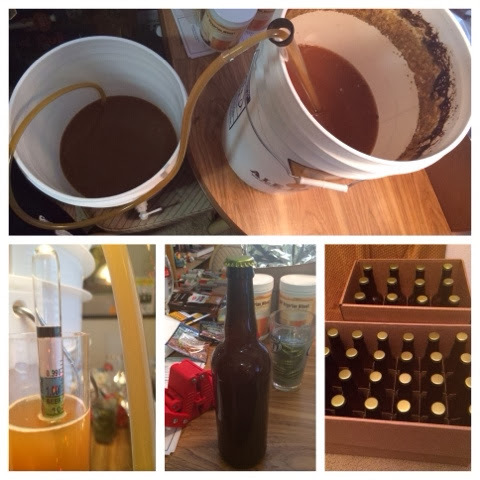 Started with the bottling of HefeEINS - two more weeks and it will be ready to drink! Since hefeweizens are supposed to be cloudy with active yeast, there was no reason to secondary ferment it. 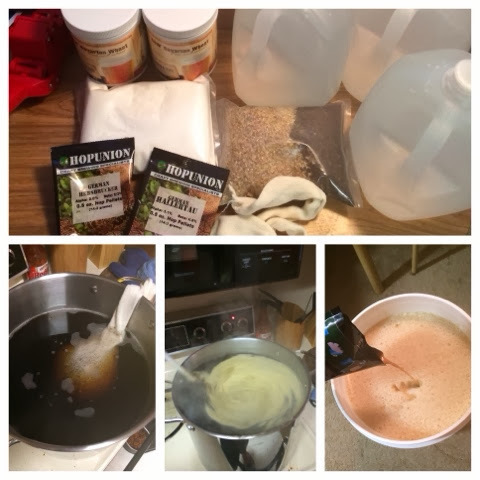 I was very happy to use the hydrometer and learn the gravity was exactly where it was supposed to be - makes me feel like I did everything right! After that, it was time to step up my brewing with a little more complicated beer, a dunkelweizen. It involved steeping Munich and Chocolate Malts. I also replaced the Munich Yeast with Weihenstephan Yeast. Looking forward to seeing how that all plays out.